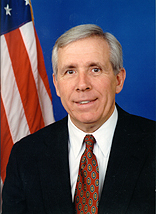 Republican congressman Frank Wolf (R-Va.) who has recently returned from a Middle East visit has warned of eroding U.S. credibility in the region, especially in Egypt, because of the Obama administration's support to the Muslim Brotherhood. Wolf also said that U.S. aid to Egypt should be "conditioned" on how the current regime of President Morsi treats its Christian minority. According to the republican congressman, the Copts and other Christians he met during his visit believe the Obama administration supports Morsi and the Muslim Brotherhood he hails from, regardless of the persecution Christians continue to suffer. Wolf says that many churches have been desecrated, and no permits to build new churches have been granted since the January 2011 uprising.